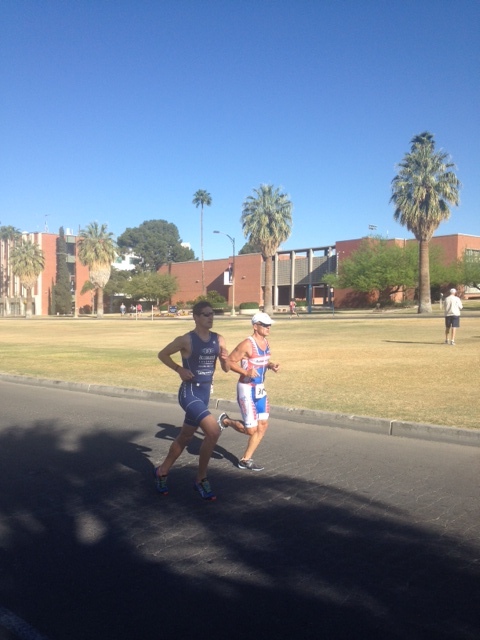 2013 Tucson Triathlon. Great start to the season. 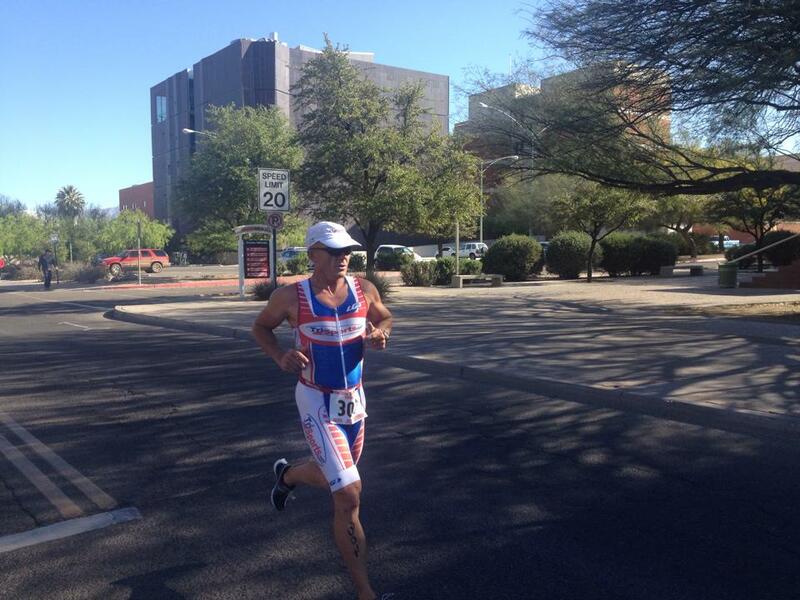 Today I started my 2013 race season off with the Tucson Triathlon. 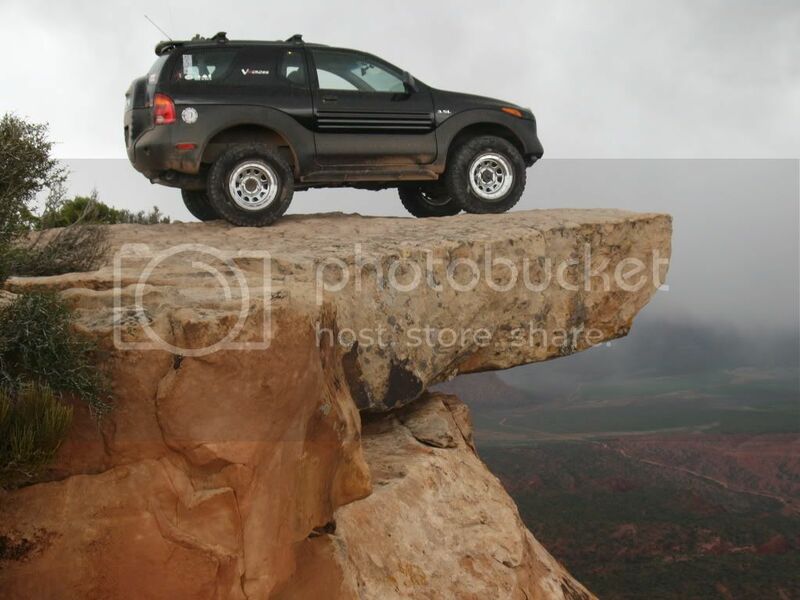 Usually by this time of year I have a A distinctive sound of a tire popping was heard. 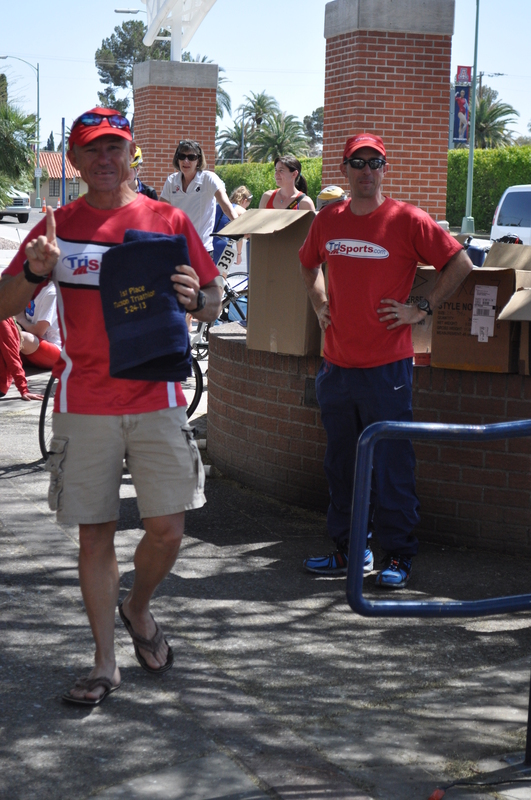 I helped TriSports.com CEO Seton, who was spectating, replace the tube of this unknown competitor so that their race would not be over before it started. Time had finally come to warm up. I had a brand new pair of race shoes and what better way to break them in than a little warm up run. Yea, yea, I know! No new equipment on race day. My Brooks Pure Drifts felt great during my warm up…light, great fit and comfortable. 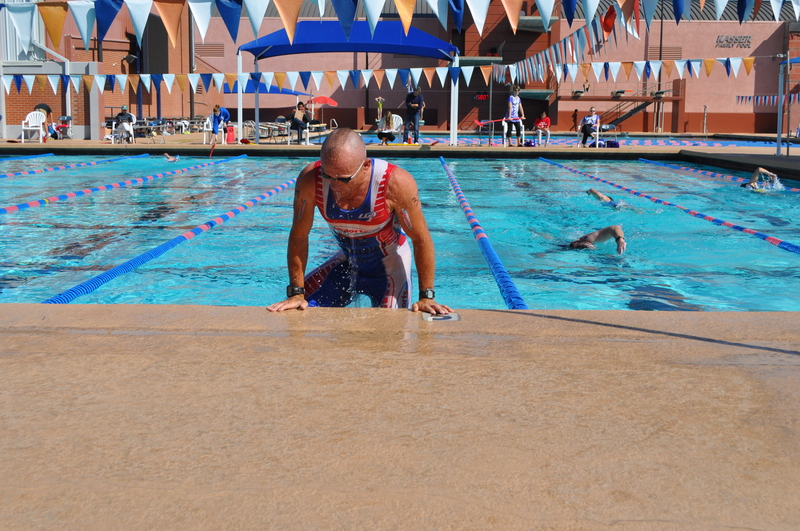 After my short run I got in the pool for 15 minutes of swim warm up. It was now about 9:30 and time to rock! The final wave contains all the fastest men in the race. The horn sounded and we were off. 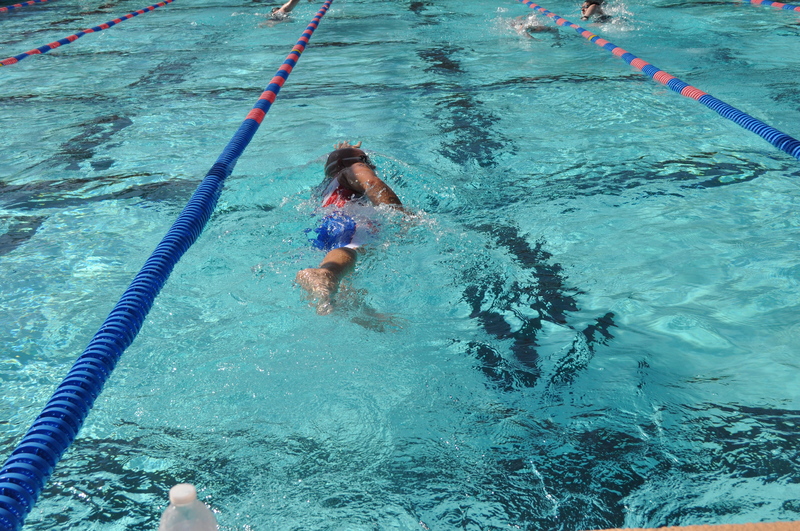 825 yard, 33 lengths or 16 laps. I swam steady and felt good. 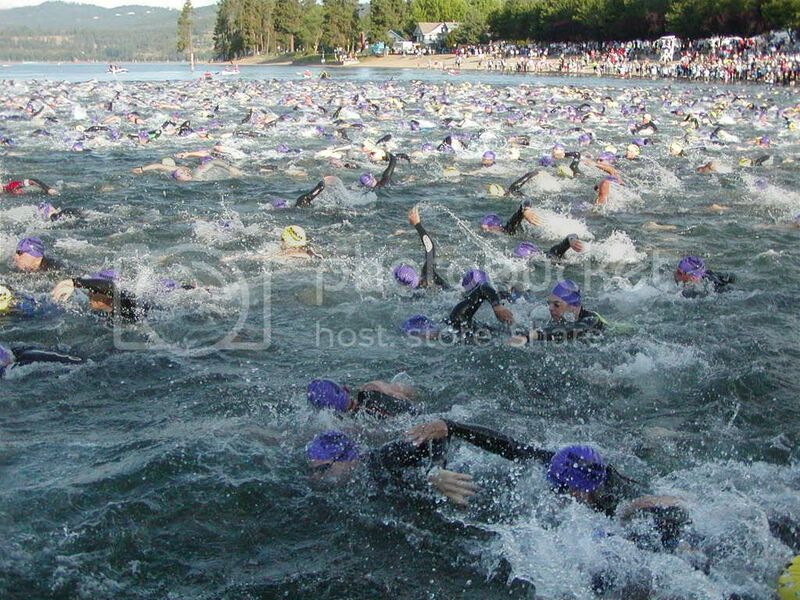 I was out of the water in 12:08, about normal for me. 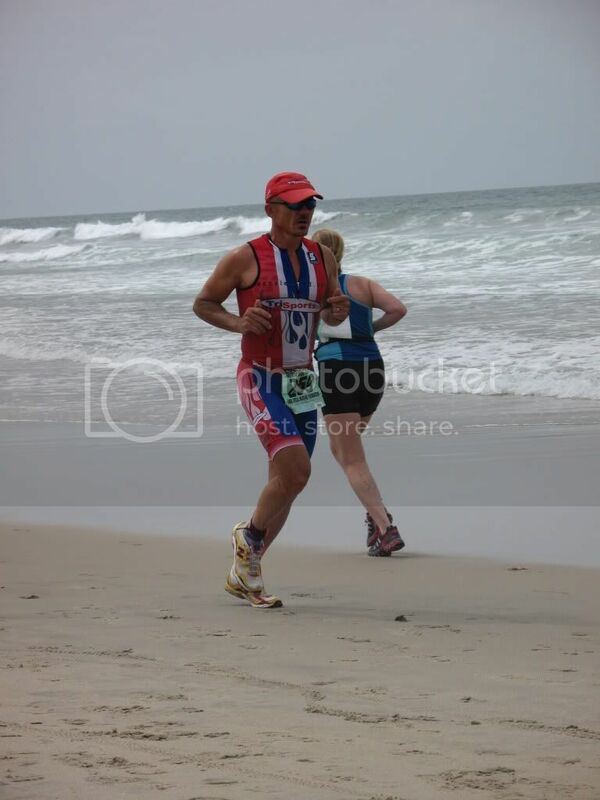 My time put me 44th overall out of the water. Transition was fast, 45 seconds. Goggles off, helmet on, unrack bike and run to mount line. An efficient “flying” mount and I was on my way. The bike is a 3 loop course covering 12 miles. Slightly uphill on two sides and slightly downhill on the other two with one really rough section that is in severe need of a repave (are you listening city of Tucson). The temperature was starting to rise and a bit of a wind had started to kick up. After slipping my feet into my shoes I quickly got up to speed and began to pick off the speedy fish in front of me. 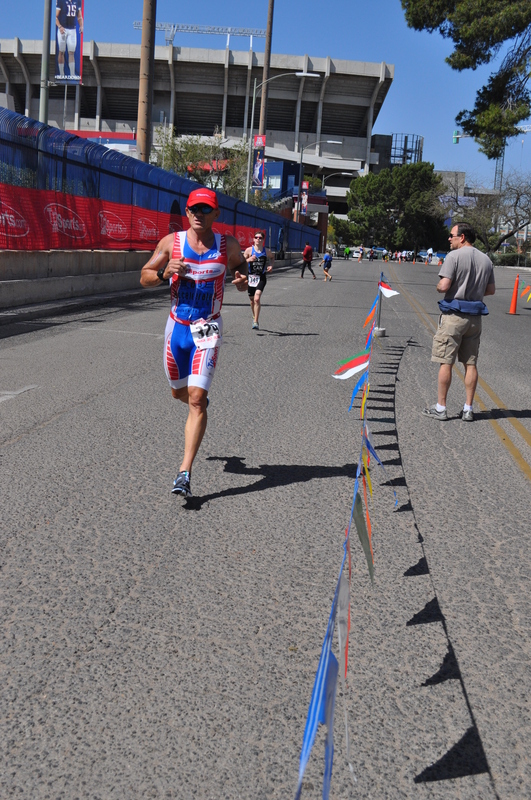 My legs felt good as I powered through the course in 29:00 averaging 23mph. 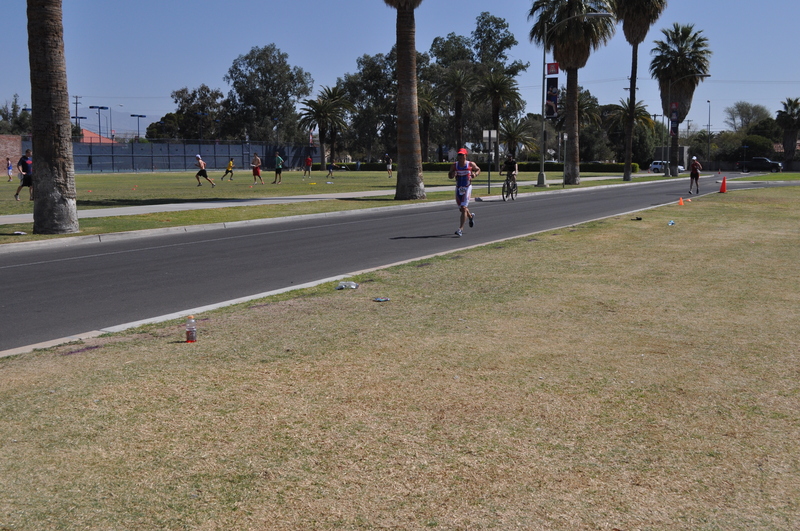 The first two laps had a lot of traffic from the earlier waves, by the third lap the traffic had thinned out. I avoided what could have been an ugly collision when a pedestrian stepped off the curb into our path, oblivious to her surroundings, despite the police officer yelling at her to stop! 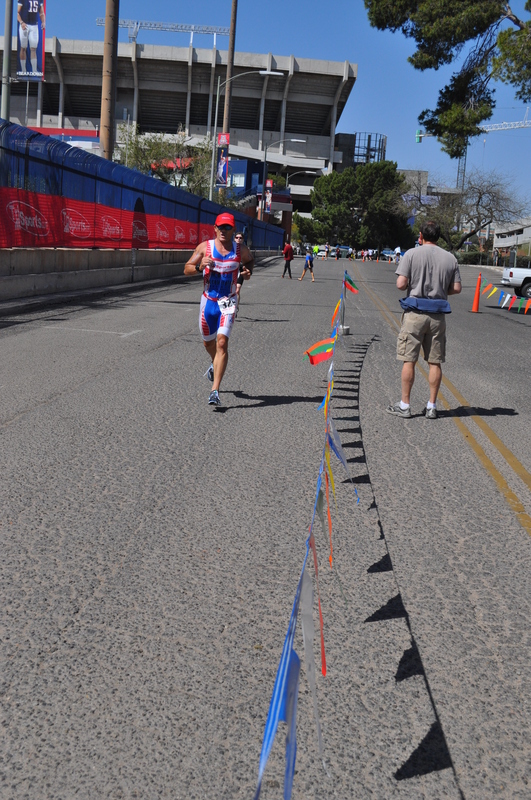 As I approached the final turn into the transition area I slipped my shoes off in preparation. As I hit the dismount line I swung my leg over the bike and hit the ground running. 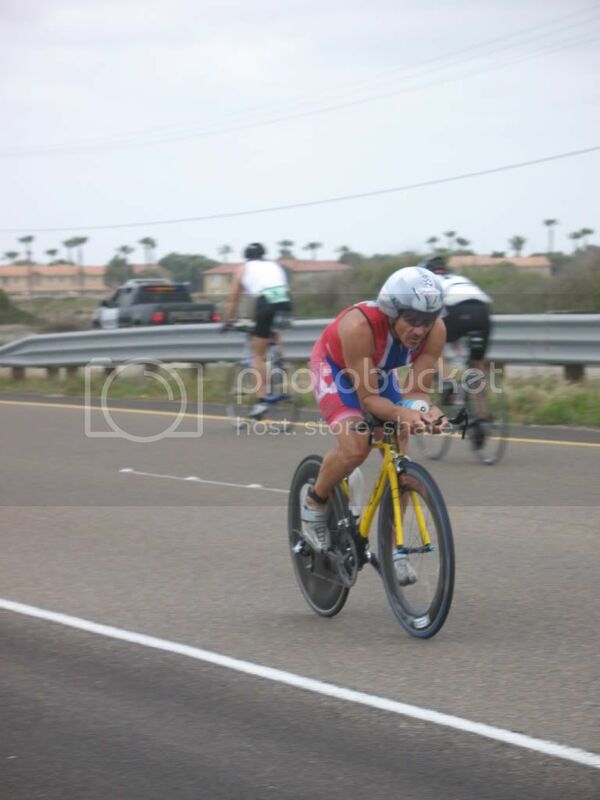 T2…rack bike, helmet off, running shoes on…20 seconds. Onto the run course with number belt, hat and sunglasses in hand. I finished “getting dressed” on the run. 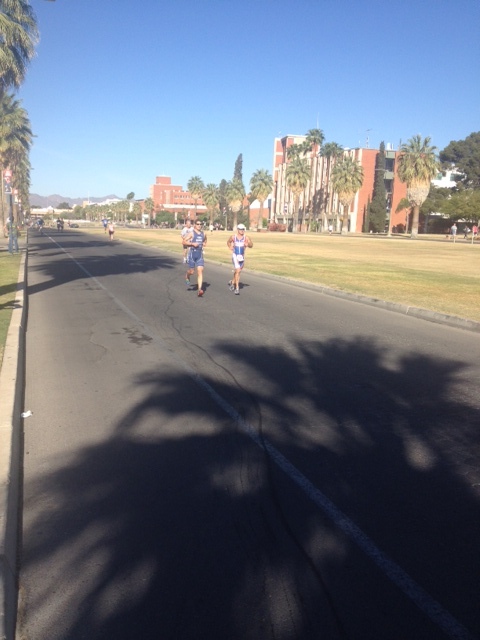 The 5k run consisted of an out section, two loops of the UofA mall and then back to the finish. The course is flat and fast! I was feeling great and my new shoes were feeling awesome! My form and leg turnover felt great from the very first step. I continued to pick people off not knowing were I was in the placings. Lots of traffic, passing people from my wave and the previous waves. I hit mile 1 in 6:14, dropped to a 6:12 for the 2nd mile and then a 6:10 for the 3rd mile. As I took the final turn to the finishing straight I had one of the young, fast fish (a member of the Canadian Junior National team) that started in my wave in my sites. 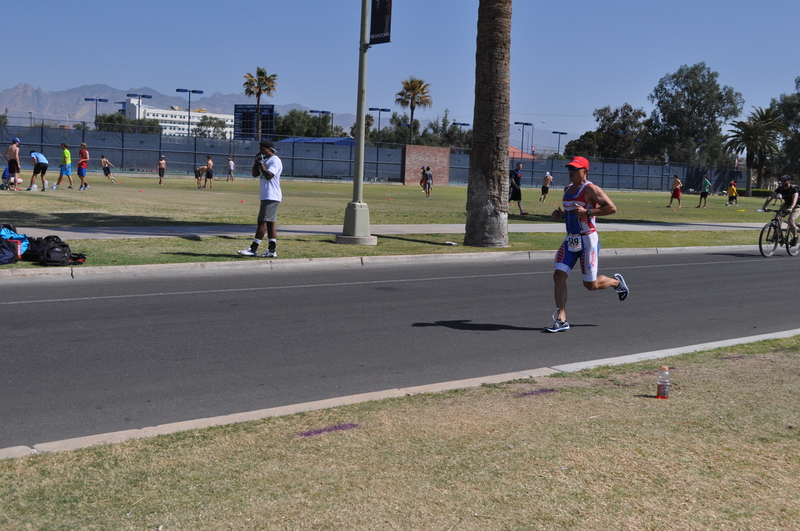 I kicked into a 5:47 pace for the final 10th of a mile and made the pass before crossing the finish line. Run time 19:10! My overall time…1:01:23, once again narrowly missing the magical 1 hour mark. Good enough for 7th place overall and 1st place in my age group (thanks to Cam Hill being fast enough to finish in the top 3 overall). Now it’s time to work on a little speed for the rest of the season. I am sure the coach already has that all worked out for me!